Yesterday, our team at JBHF watched in horror as the fire raged at the Notre Dame Cathedral in Paris. Today, with France and the rest of the world, we are mourning the great losses. Yet there is one extraordinary blessing in the midst of the tragedy. Thanks to the work of the late Vassar Art Historian, Andrew Tallon, the world has comprehensive 3D laser scans of the entire cathedral - inside and out. His efforts to understand the builders’ intentions, coupled with these images, revolutionized humanity’s understanding of Notre Dame’s construction. According to the New York Times this morning, more than $339 million dollars has already been raised to rebuild the magnificent cathedral, and there are campaigns just getting started all around the world. Professor Tallon's efforts will be indispensable to this work. As you know, we are huge proponents of the use of new technologies in heritage conservation. Laser scanning, 3D modelling, and augmented reality are vital tools in the preservation of our built heritage. We have been and are privileged to work with Professor John Bonnett of the Digital Humanities program at Brock University, and we hope to continue to celebrate, use and promote these technologies in our work on The Brown Homestead. 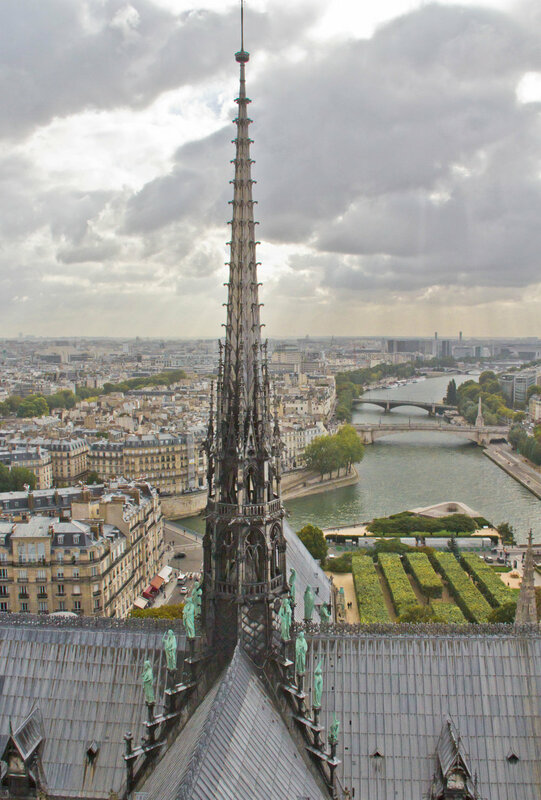 We wanted to take a moment today, to share a remarkable article about Professor Tallon’s work on Notre Dame from the June 2015 edition of National Geographic. May it bring some measure of hope to all those who mourn, and exemplify the best of what has been and may yet be done to conserve the world’s extraordinary historic sites.